What a pretty beginning to my marinara! 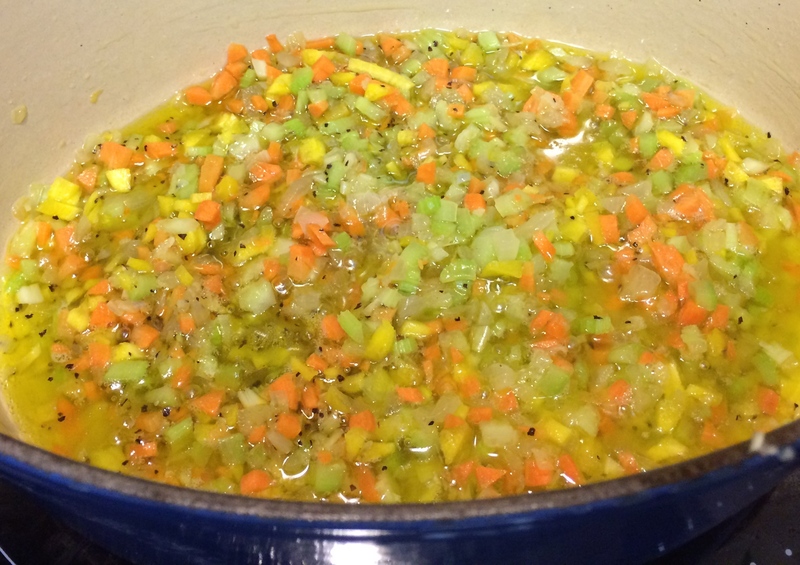 Yellow carrot, orange carrot, celery, onion, and garlic make for a happy little pot o’ veggie base. Might it be a mirepoix or a soffritto or the holy trinity? Everyone calls it something different but I think it’s all the same thing. Let me know if I’m right or wrong. I don’t know but I would love to have a dress out of those colors. I have heard of the holy trinity somewhere but I forgot what it was and those other words I do not know. But it is very pretty.